Science Major? Still looking for summer employment? 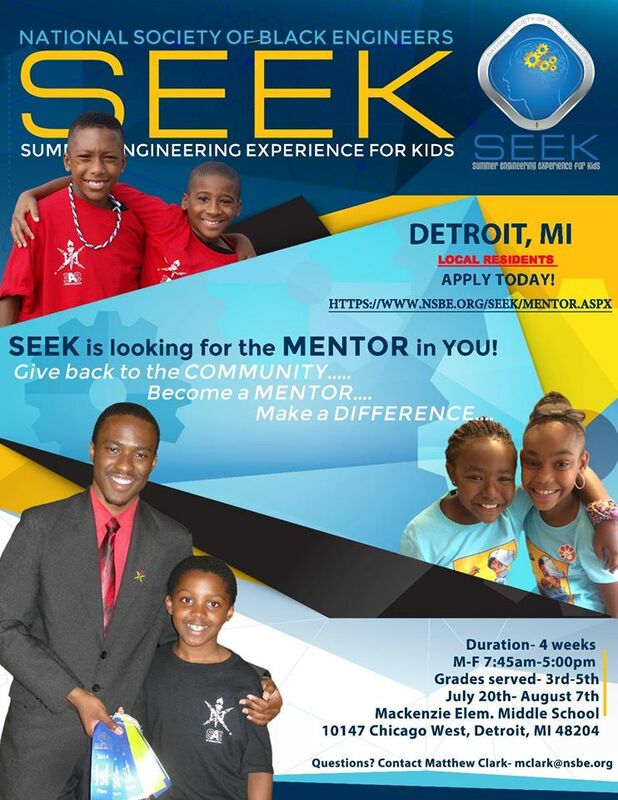 Well NSBE’s Summer Engineering Experience for Kids (SEEK) is still hiring at numerous camp sites in over 16 cities including Detroit! Apply today!!!! The Women of Color (WOC) STEM Conference will be held October 23-25, 2014 at the Detroit Marriott in the Renaissance Center. 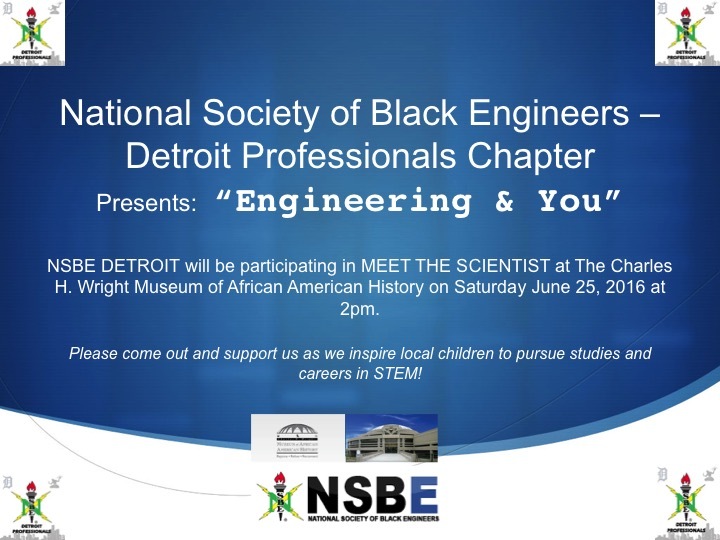 This event is sponsored by the Women of Color Magazine and is for professionals and students seeking training, networking, role models, and mentors. A few of the featured events are a Technology Recognition Lunch, Women of Color Awards Gala, and corporate and technology seminars. For more information and registration, please go to http://intouch.ccgmag.com/page/woc_conference.